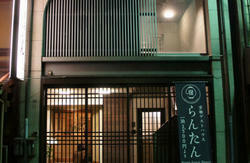 Daiya Ryokan is a Japanese-style, friendly, affordable family-run inn located only 5 min walk from JR Kyoto Station. 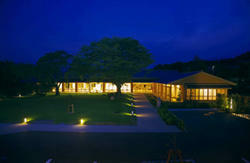 Come and experience our hotel and feel nostalgia for the Taisho and Showa eras. 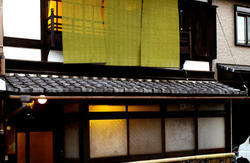 This is a popular hotel for tourists visiting temples and shrines since the old days. Its convenient location is along the streets built in the Taisho and Showa eras, and is filled interesting gift shops and places to visit. A Japanese noodle (Udon) restaurant is also run by the owner and trying this is a MUST experience while your stay in Kyoto. Our cheerful, kind lady owner and her pet (dog) will tell you nice places to visit, unknown even to many locals! All guest rooms are Japanese-style. We have a free parking lot, banquet hall, vending machine. Inside each room, there is an air conditioner, and TV, bath towels, hand towels, toothbrush set, yukata (light Japanese robe), slippers. You can lock the room door from inside, but not from outside. Free parking is 2 cars only and subject to availability. A Shogi (Japanese board game) can also be borrowed at the reception. Public baths are operating from 2PM to 0AM. Food/Drinks are permitted to be brought in. -All the payments are accepted by CASH ONLY. -Staff do not speak English. Japanese Only. -All rooms are without shower and toilet. Daiya Ryokan is close to most of the hot tourist spots in Kyoto, because it is conveniently located within the centre of the Kyoto city. 5 min walk from JR Kyoto Station. Walk down the Karasuma-Dori (street) from the north exit of JR Kyoto Station. Take 'right' at Shimo Juzuya Dori (street) before you find the gate of Higashi Honganji (temple) on your 'left' hand side. 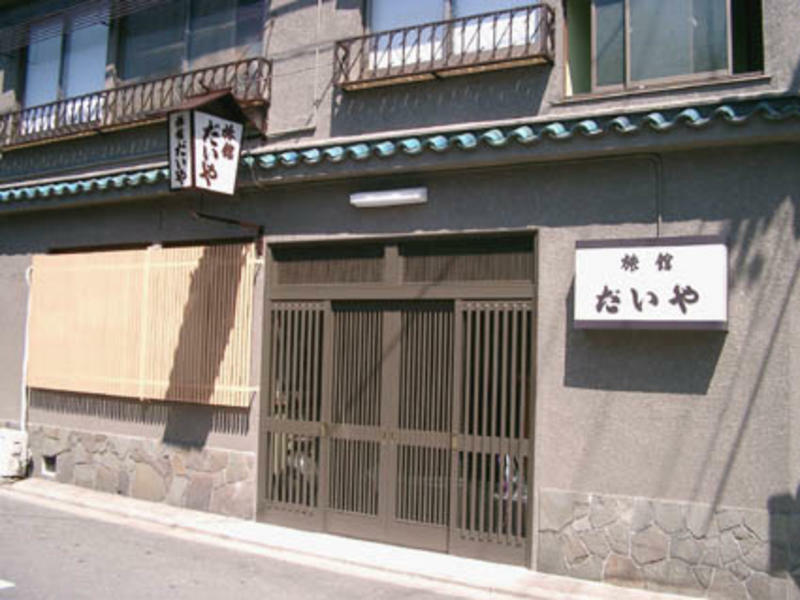 Daiya Ryokan is a few minutes on your left side on the Shimo Juzuya Dori. Please make sure to print out the map available on this site. We are just it is 3 min walk from Karasuma Shichijo Bus Stop..